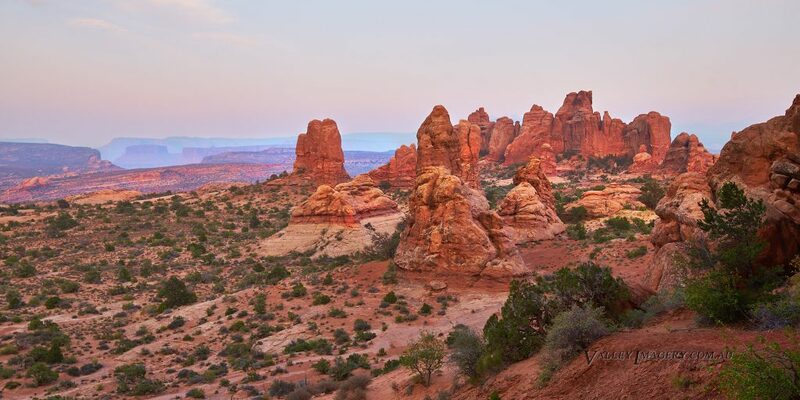 I have wanted to visit Arches National Park ever since I was a child. 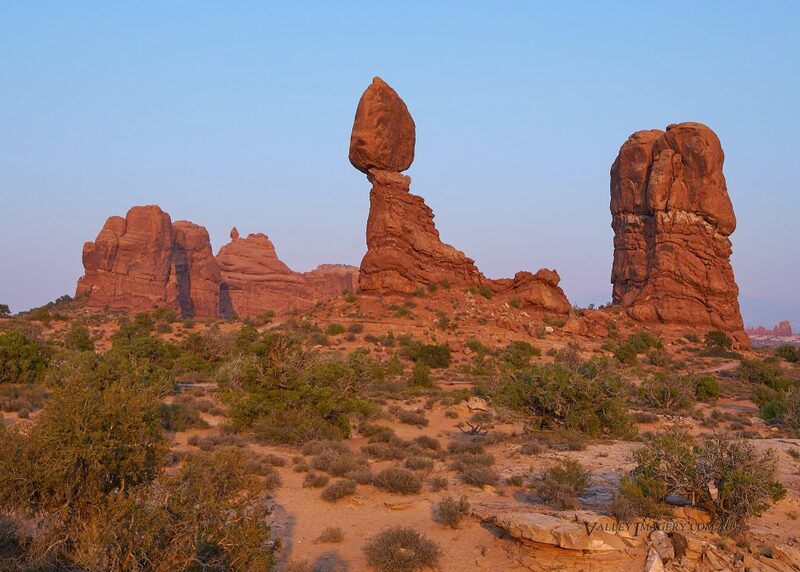 The rock formations are unique and photographically it will always be a special place. After a long drive from Las Vegas via Zion, Bryce and Capital Reef I finally got to enter the Famous Arches National Park. We stayed in a great little cabin in Moab, about 10 min from the park and the newly constructed cabins were perfect for our trio of explorers. 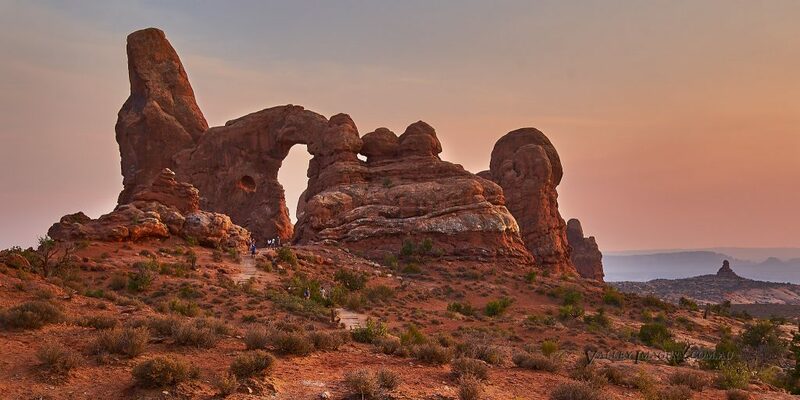 We first went to the famous Delicate Arch, Its clearly the busiest arch but its still a must see for any visitor. Getting there mid morning meant we timed it poorly for photography (Late afternoon or sunset would be better). This was deliberate to allow more time to see other area’s of the park. After a 20 min walk we joined a group of other tourists sitting around a large natural bowl resting and enjoying the view of a classic Utah scene. An orderly procession of tourists waited politely to allow clear photos of family to be taken under the Arch. It’s always reasurring to see good behavior from obviously diverse people. 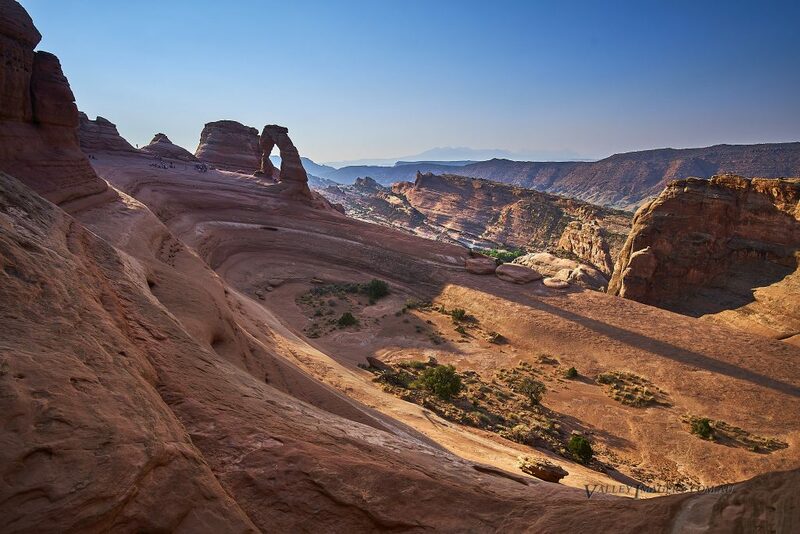 Framed Arch is just near Delicate Arch and is a good vantage point to see the famous arch. It’s in the rock formation on the right of the above image. 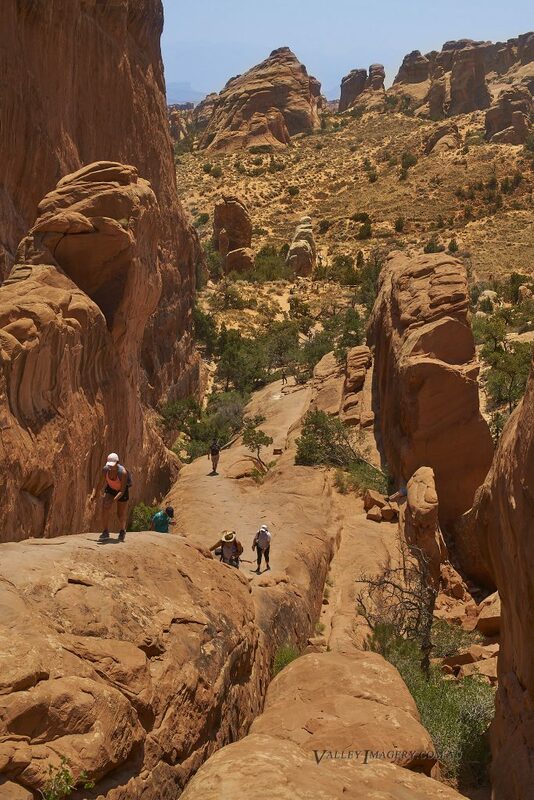 Its a short bur very steep climb and is a great place for a selfie just before or after delicate arch. 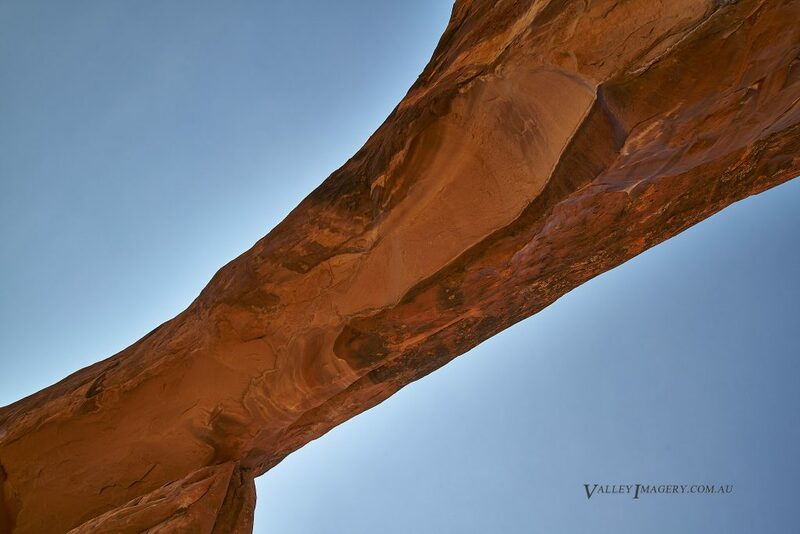 After visiting Delicate arch we drove further into the park to take an easy walk to Landscape Arch. 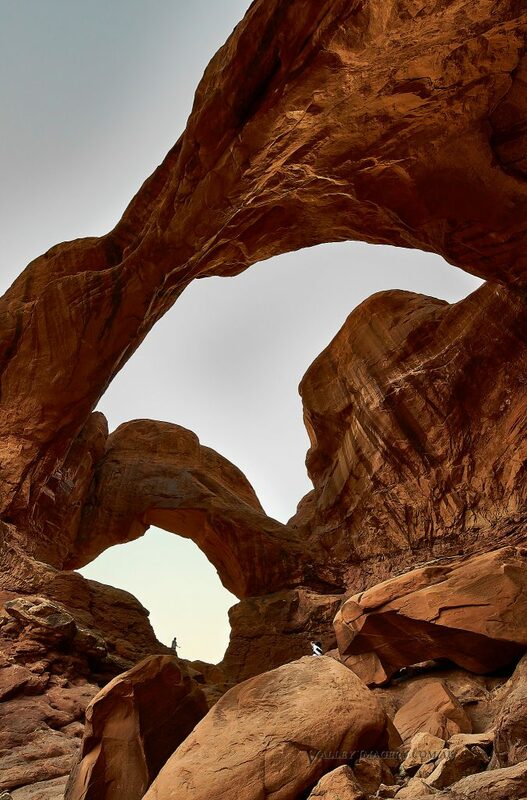 Its a delicate and long arch, accessible after a 15-20 min walk with some sections in deep sand. 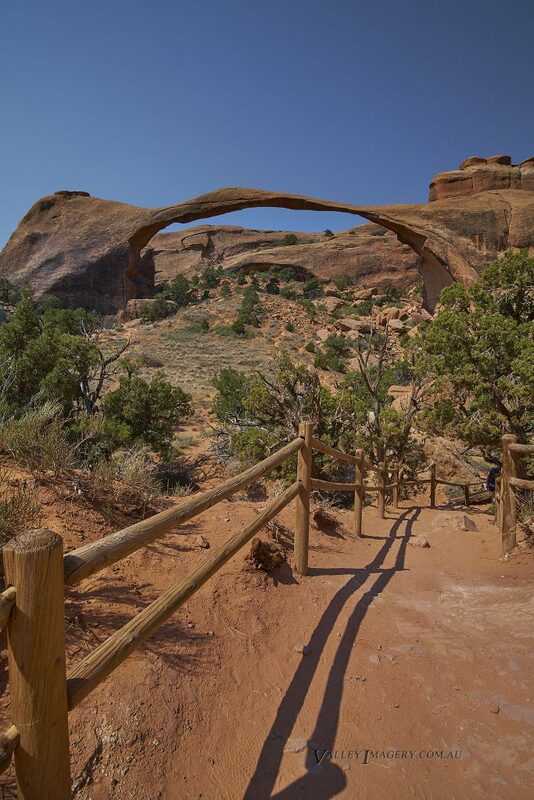 Access under the arch is prohibited as it is quite fragile and has had documented rockfalls in the past. 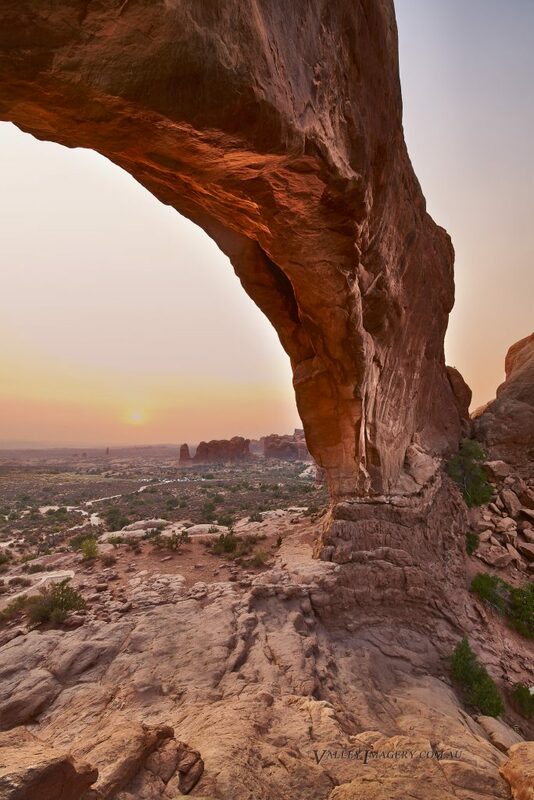 Landscape Arch is known as the longest natural span anywhere in the world. 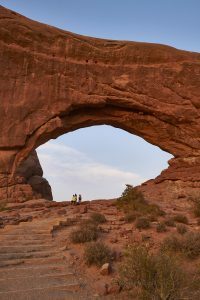 After an adventurous short steep climb from Landscape Arch we made our way to the Partition arches. Its clearly popular with about 20 people inside and around the rim as we arrived. Luckily they all seemed to depart at the same time and we briefly had the place to ourselves. It sits up quite high though with a great view over the park. This is only a few min further on from the previous arch and is quite photogenic. After a short rest here we headed back down past Landscape Arch and into the car park. We arrived back at the car around 1.00pm and it was becoming quite hot (35C) and we took the opportunity to head back into Moab for lunch and a well earned afternoon rest (Siesta). Later in the day we headed out to the windows section to explore and see if I could catch a decent sunset photo. Smoke haze from the tragic California bushfires had spoilt many photographic opportunities during the day.  We arrived in the windows section with a loose plan to see where the sun was setting and to hang around until the crowds had left. 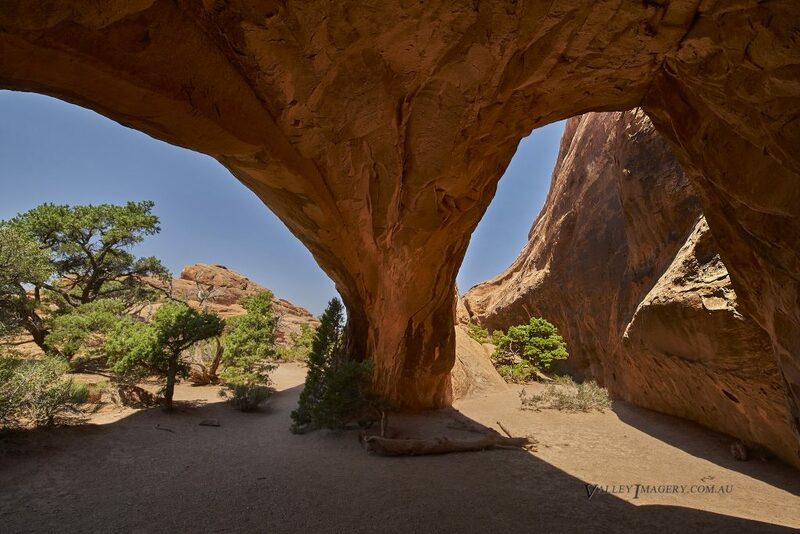 The Double arch is a truly dramatic formation and has an amazing way of making you feel small. The size of this formation is amazing and it’s clearly a favorite for crowds. Due to its size its difficult to frame well and I decide to take the camera and move on to the north window for sunset. 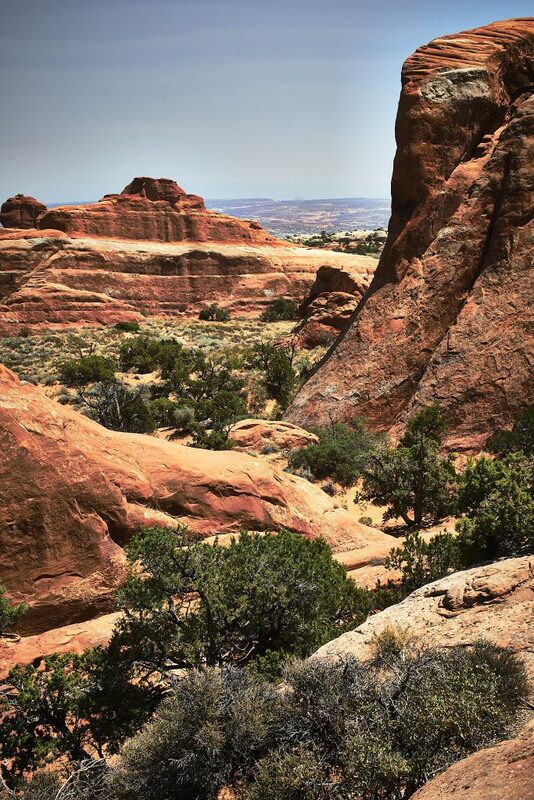 After scouting around for a while I ended up sitting high up on a ledge under North Window Arch facing the sun. With the soft light filtering through the smoke I captured this dramatic composition looking through the North Window towards Double Arches. 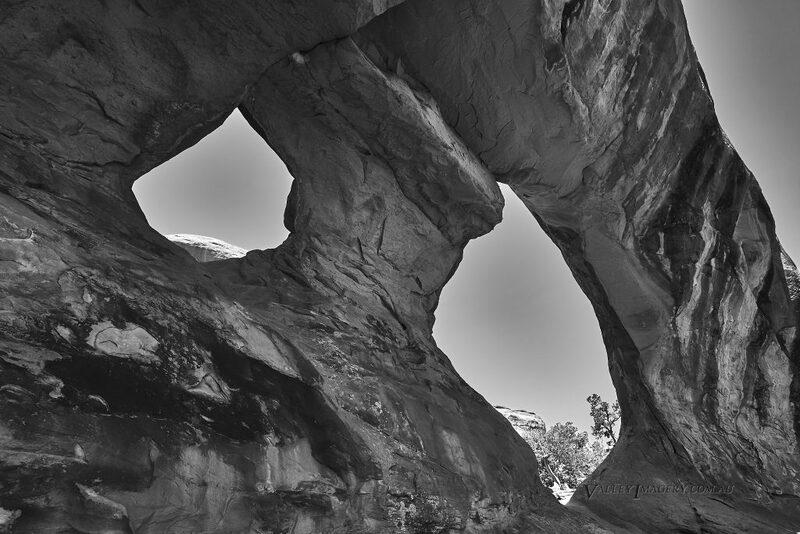 Below is the North Window Arch from a more normal perspective, see if you can guess where I was sitting.